Llumar window films have been developed and tested in our own laboratories to perform as claimed. Our testing facilities include those listed in the table below. Continuous quality control and testing take place at each of our production facilities. Testing is conducted on film as manufactured, and on film-on-glass. Certain Llumar products have also been tested to satisfy the requirements of several major independent testing bodies including Warrington Fire Research Centre, British Standards Institution, Plastic Industry Research Association and Building Investigation and Testing Services. Llumar film when installed, satisfies the requirements of BS 476 Parts 5,6 and 7 for Fire Tests on Building Materials in its performance with respect to ignitability, surface spread of flames, and fire propagation. Tests have shown that Llumar films satisfy the conditions for a Class O surface according to the 1991 Building Regulations paragraph A12(b) of Approved Document B �Fire�. Additionally, testing of Llumar window film to NES 713 for toxicity has given an approximate toxicity index of 1.82, which satisfies the usual MOD requirement for an index of 2.5 or less. Once Llumar film is applied to glass it remains resistant to flames throughout its warranted life. It will not cause, support, or enhance the development of accidental fires. Llumar window films have been tested in service over many years and have been subjected to accelerated ageing tests. 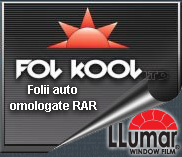 Llumar film on glass does not suffer degradation from UV light during its warranted lifetime. All Llumar window films are covered by a manufacturer�s warranty against peeling, cracking, demetallisation and delamination. The warranty is typically for five years, but Llumar sputtered films are warranted for up to ten years; the warranty is further enhanced via the Accredited Installer Network in the UK. Experience indicates a lifetime of service of considerably more than this.